The Spanish philosopher José Ortega y Gasset has referred to man as a “conscious cosmic phenomenon”. What he meant by this has everything to do with the fact that there is at least one cosmic entity that is capable of self-awareness in the universe. Ironically though, Ortega recognized that this reality remains the most transparent truth that man has failed to embrace. Throughout his collected work, Ortega argues that life and reason – that is, pure reason – are not compatible. What ought to matter most for man, he tells us, is the realm of the vital in human affairs. Vital reason, then, is the tool that is most appropriate for life. As with Ortega y Gasset, the guiding force behind the cinematic and written works of the Russian cinéaste Andrei Tarkovsky (1932-1986) is a vision of man as a spiritual entity who is embraced by spatial-temporal objectification. Tarkovsky made seven full-length feature films, beginning in 1958. Even though I will mention his other films, the focus will be on Solyaris (Solaris, 1972) and Stalker (1979). Solaris is considered a science-fiction film. Yet, this is a rather misleading understatement. To test this, we only have to look closely at the reaction of most science-fiction fans whose idea of this genre is based on the likes of Star Wars (George Lucas, 1977), Alien (Ridley Scott, 1979) and The Terminator (James Cameron, 1984). Such moviegoers react violently to any work that does not move along like a video game. We can say much more than this, but time is the genuine proof of any argument or intuition. I have to say at the outset that not all prose can be transferred to the screen. The latter was a rather bitter point of contention for Lem after he viewed the finished film. Lem, though, has criticized most science fiction for its exaggerated plots and conventions. The film opens with a shot of a gently flowing stream and Chris Kelvin (Donatas Banionis), the protagonist, looking at falling rain. He then walks around the back of a country house. Next, two men walk up to the house. They come to tell Chris that, “The Solaris crew is transmitting puzzling data.” Chris is to go out to the station and confirm whether this is true. If proven, the station will have to be shut down. The impression that the scientists have is that those aboard the station are possibly suffering from fatigue of some kind. This is an optimistic account, because what is actually occurring on the Solaris station cannot be solved with additional science. After hearing of the strange events taking place on the station, Chris decides to stay out in the rain, as if he might never get to experience it again. Thus, from the start, Solaris conveys a strong feeling of isolation. This emotion is powerfully conveyed by Chris Kelvin in his country home long before we witness the same emotion on the Solaris station. In effect, Tarkovsky’s images and moods effectively depict a vital poetry of life that is rooted in daily reality. Dr. Kelvin, who is a psychologist by training, as we see later in the film, is mourning the death of his wife. The documentary film also shows a briefing of Burton that turned into a kind of hearing that attempts to confirm what he indeed witnessed. The tone of the briefing becomes condescending when a scientist argues that the “problem” lies in Burton and not with the planet. Some indication of Burton’s resistance to the overbearing scientific scrutiny that he is exposed to is felt in his comment to Chris that, “Knowledge is truthful only if it’s based in morality.” Chris rebuttals by saying, “Moral or immoral, it’s man who makes science.” The latter is an early indication of Dr. Kelvin’s training as a scientist. But as the film progresses his respect for scientific materialism begins to wane. Not knowing if he will ever return, Chris proceeds to burn his papers before going into space. This is a powerful scene of anticipation and foreboding. 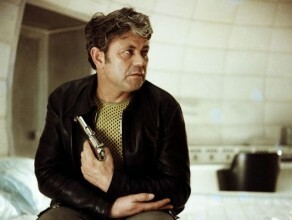 The next scene shows Chris in space over Solaris. Once he enters the space station, Dr. Snaut (Jüri Järvet) tells Dr. Kelvin that one of the three men onboard has committed suicide after the “trouble” began. The initial scenes after Chris arrives on the station create a surreal drama of expectation and resolution. At that point in the film, we are confronted with a new level of metaphysical phenomena – strange occurrences and uncomfortable situations that force us to make sense of our human condition. After watching the video, Chris becomes baffled by Sartorius’ suicide and the latter’s contention that he is not insane. Chris walks around the space station disoriented, out of place, as if someone were hiding something from him. The fact that Gibarian mentions the lack of time to explain what has taken place in the station signals a threat of some kind. Second, he suggests that what is taking place is indescribable. This seemingly epistemological breakdown is a fundamental theme of the film. But what is more significant still is the way in which Tarkovsky presents the question. If he presents the phenomenon that is taking place onboard the space station as being a mere paradigm change, then this will constitute yet another problem to be solved by science. Instead, Tarkovsky’s concern is in demonstrating that, if truth could reveal itself to man in its totality, it would undermine our present worldview. Tarkovsky presents the viewer with the genuine possibility of entertaining a new notion of what we regard as understanding. His method is striking: we are not introduced to beings from another world who will enlighten us with some new truth. Tarkovsky does not care to entertain us with aliens and the fright that comes from another dimension. It is our relationship to ourselves, individually and spiritually, that Tarkovsky explores. What if, he seems to suggest, the understanding of human existence that we possess is not only limited but also lacking in some fundamental clarity? What seems to be at stake on the Solaris station is an imprinting of our memories in a universal, cosmic mind that we only realize exists when we arrive at that point in our development. Fanciful? Perhaps. Tarkovsky’s motive for posing the question is to explore whether we merely live metaphysically on what can be considered the surface plane of human existence. His concern is not with scientific exploration but with the non-rational. Another theme of the film is the importance of memories in our lives. Can we live without them? What about constantly having to relive our worst tragedies? Can we be selective? Tarkovsky’s answer to this question is expressed when his wife, Hari (Natalya Bondarchuk), dies again on the space station and Chris is forced to experience loss once again. As Chris walks around the station, he looks out onto the pulsating sea of the planet that Solaris orbits. He sees a woman walking past him. He follows her. Chris immediately comes to understand the indescribable anomaly that Gibarian mentioned in his video. The woman is Hari. His understanding is verified by Snaut after Chris tells him, “I know you’re not insane.” Snaut replies, “Insane! Good God. Insane! That would be relief!” The truth that is too much to bear becomes a living hell for all onboard the station. Dr. Sartorius, too, offers a scientific answer to what they experience as a metaphysical conundrum. Sartorius figures that the hallucinations “consist of neutrinos and not atoms like everywhere else”. He explains that neutrino systems are supposed to be unstable, but Solaris’ force field stabilizes them. This scientific explanation sounds valid. After all, they are all trained as scientists and, when faced with questions of an unclear nature, the best route to take is the simplest. This may very well turn out to be the case: a scientific explanation that would decode further aspects of our superficial understanding. But this only remains a viable option as one possibility amongst many. However, even if the above-mentioned remains true, Tarkovsky is nonetheless concerned with the question of how we experience reality, and not so much as to what it is. Regardless of the possible explanations that Chris entertains onboard, he nevertheless feels the emotions brought about by these radical experiences. A point in question in the film is the relationship that exists between my true “internal” memories and the hallucinatory, external ones experiences on the station. The touching interlude where Chris plays a home movie of himself as a boy walking in the snow juxtaposes the two. The memories that the home movie evokes are true memories. But the same cannot be said of the hallucinatory memories, as he literally relives them. While memories cannot exist of their own accord, they trigger a return to a real space and time. This is easily evidenced when Hari cannot remember or make sense of her self, or her past, because she does not exist for herself, but only for Chris. When she makes any headway whatsoever in this regard, she does so as a negation of herself. In fact, Hari comes to the realization that she is not the real Hari because Hari was poisoned. She begins to see herself as a memory. Of course, this opens up a complexity of questions that remind us of Jean-Paul Sartre’s pour-soi and en-soi, and René Descartes’ “cogito ergo sum”. Something of this can also be seen with the replicants in Blade Runner (Ridley Scott, 1982). Hari enlightens the scientists by telling them that the “guests”, as they are called, are nothing more than their conscience. “They are yourselves”, she tells them. Solaris has a surreal quality that is reflective of a true understanding of man as an interior being who lives outwardly on borrowed time. It is interesting to speculate on the nature of a reality that all of a sudden projects our memories into the external world as materializations for all to speculate. Today, in this digital, cyber age, we find ourselves debating the nature of intellectual ownership, as if a hyper public reality places man’s internal character up for review. What effect would a reality such as that on the Solaris station have on man, if all of our memories were to become public property? What greater claims would the public sphere have over our lives in such a world? Isn’t it enough that we give the world a portion of ourselves through our actions, works of art, conversations, emotions, writing and good will, for instance? It seems that, on a private level, a scenario such as that which takes place on the space station would be welcomed. In such a reality, we would “revisit” our lives, as it were, and perhaps we would gather the strength and understanding necessary to comprehend that which is fleeting – all that has dissipated in the rush of our lived immediacy. Of course, this would also suggest a new phenomenological reduction, whereby we would also be taking time out to reflect or “relive” our past to the detriment of our present. In such a reality, we would still manage to neglect our present. There is a sense in which this form of reality might actually harbour a sheer state of hell for us. Some might even become addicted to their past more so than their present condition. 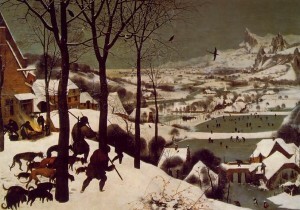 This surreal, Unamunian sense of life is invoked in the scene of Pieter Bruegel’s painting “Hunters in the Snow”. That scene is reflective of how the people and places in the painting are only real to us in the same degree as we are real to Solaris’ overseeing ocean. Hari, too, begins to have memories. She has a memory of herself in the snow. Tarkovsky brings those on the station back to their present state of being through periodical 30 seconds of weightlessness that the station experiences. This oscillation between what is real and what is merely a memory creates a timeless, emotional buoyancy in the lives of those onboard. This only works to compound our phenomenological commentary on the film. Eventually, Chris is moved by what he feels for Hari and how his sensations are “real” regardless of their illusory nature. He contemplates staying on the space station in order to not let go of his memories – of her. He believes that in doing so he will find a new longevity for the reality that he values most: his love for Hari. But, as we see take place at the end of the film, the sanctity of his love for Hari will be kept alive through his real-life memories. Chris believes that we only love what we can lose. He says: “Maybe the very purpose of our existence is to perceive mankind as the reason for love. Shame! That’s what will save mankind.” This same point is effectively developed by Rantes (Hugo Soto), the mysterious and spiritually gifted protagonist of Hombre mirando al Sudeste (Man Facing Southeast, Eliseo Subiela, 1986). In that film, Rantes, who shows up in an asylum, tells the head physiatrist that he does not understand how humans can bury their dead so easily. Rantes’ point is that he can’t let go of his loved ones. But staying on the station, as we have already seen, does not come without a heavy price. Chris values the fact that he can be with Hari more than he fears witnessing her death over again. Chris asks, “Snaut, why does he [the ocean] torture us?” Dr. Snaut answers: “We’ve lost our sense of the cosmic.” Tarkovsky’s suggestion seems to be that, at least for those involved in the Solaris project, a sense of the cosmic returned only under dire and abnormal conditions. Thus the cosmic, as Ortega too tells us, is a holistic understanding of our pressing need to transcend or become fully cognizant of our translucent immediacy. What makes this reality so surreal, as I have previously said, is that often what is most translucent – that is, what is closest to us – is also what we neglect the most. Snaut’s comment can be interpreted in several ways. He might not be as aware of the passage of time as Chris or he simply is afraid to confront such questions. Chris counters by telling him: “We don’t know when the end will come, so we hurry.” But Snaut is not ready to drop the point and tells Chris: “The happiest are those who never ask these damned questions.” Again, Dr. Snaut seems to be irritated by such questions. Chris’ rebuttal is essentially the main point of the film: “Questioning means a desire to know. But to preserve basic truth, we need mysteries. The mysteries of happiness … death … love.” The importance of these few lines of dialogue cannot be overlooked. Many times throughout the film, the subject of exploration and knowledge comes up as a central focus of the lives of those involved in the project. Back in Chris’ home, at the start of the film, this seemed to be the main plot vehicle. There, when they are watching the documentary footage of the conference, the viewer quickly gets the impression that Chris will join the others on the station to solve a scientific problem. This is, after all, what scientist do and what most viewers expect of this genre. But Solaris is not a typical science-fiction film. It will frustrate the viewer who expects high-flying special events, alien beings and exploration of a merely physical nature. Tarkovsky’ point in the above-mentioned dialogue is not to come across as a sceptic or critic of science. When he says that knowledge safeguards a sense of mystery, he is suggesting a Socratic notion that to know is to know what cannot be known. This can be taken to mean two things: either we can know all things, eventually, or we can know all things at once. Obviously the latter point is not the case. This leaves us then only with the possibility that we can arrive at an immensity of future knowledge. Thus, Tarkovsky brings us back to his original point: the eventuality of knowledge is contingent on our desire to know, but the desire to know can only arise due to our recognition of ignorance. Tarkovsky’s contention is that in this desire to know we must be willing to accept that, during any given period in man’s history, our ignorance has always been greater than the immediate scope of our knowledge. 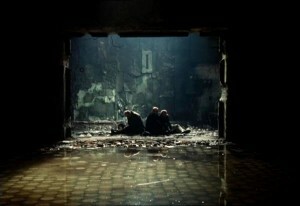 Like Solaris, Stalker is also a science-fiction film that breaks with the traditional themes of the genre. She doesn’t want him to return to the ZONE because he has already served five years in prison for taking people there. Ironically, Stalker’s Wife is concerned with the danger that he will encounter from the state authorities that have closed off the area. He, on the other hand, is concerned with the danger that the enchantment that is contained in the ZONE possess for man. Stalker essentially treats the ZONE as fertile moral ground for the initiated. When he takes people there, they are instructed to respect its internal principles. What is important here as well is that the ZONE demands a level of spiritual engagement from those who enter it that is uncommon. 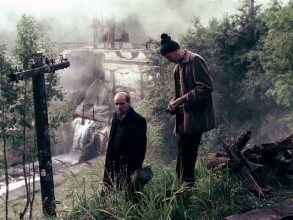 Tarkovsky’s stalker is a kind of Prometheus that disperses cosmic secrets to man. Yet, unlike Prometheus, he understands the inherent dangers of the knowledge that the ZONE dispenses. His fundamental problem, then, is that he cannot guarantee the moral and spiritual integrity of those who enter with him. The little physical action that occurs in the film takes places in the opening sequences. Driving through the entrance to the ZONE, where armed guards are posted, is the epitome of action in Stalker. Physical danger does not concern Stalker in the least. In fact, driving Professor’s jeep up to the gate where the ZONE begins seems a rather mundane exercise for him. As they drive through the entrance, they are shot at, but they are not followed in. Once inside the ZONE, they then ride a railroad handcar closer to the centre. When this episode comes to an end, the film takes on a sense of calmness that continues until the end. This is also evident in that the film becomes coloured, while up to that point it was sepia. This is the point where the science-fiction fans who have come to expect incessant physical action become dislodged from their expectations. Stalker was taught everything he knows about the ZONE from a man who is referred to as Porcupine and who brought people there for many years. This conversation about Porcupine is important; as the viewer learns that Stalker was imprisoned several times for stalking, we come to an understanding of what Stalker does and why. Who, then, is Stalker stalking? Clearly, he stalks no one. Why, then, do the authorities make it illegal for anyone to go to the ZONE? After the meteorite hit the village and burned it down twenty years earlier, stories began to circulate that the centre of the ZONE granted wishes. The problem began, Stalker tells us, when the ZONE was “guarded by barbed wire, for who knows what wishes a person might have”. If Stalker does not stalk anyone, as we understand the word, then what he stalks must be the possibility of truth. This would explain both the government restrictions as well as his reticence to take just anyone there for fear of what they may find. Perhaps the great symbolism of the film has to do with the notion that, in order to arrive at the centre, they must not go straight ahead – the shortest path always being the most dangerous. When Writer takes off, walking on his own, he makes Stalker nervous because he fears that he too will become affected by the irrationality of writers. Stalker cautions: “The ZONE’s a maze of traps. All of them death traps.” The indication here has to do with an allegory of life itself where “that which has become hard shall not triumph.” Another example of this same symbolism is seen when Stalker lies down to rest and hears a voice tell him a story of how man can destroy himself by intemperance. Writer’s verbalizing of his knowledge is indicative of Tarkovsky’s regard for the dichotomous rift that he sees as being central to human reality. The problem essentially has to do with the attainment and subsequent objectification of knowledge. While Writer undergoes an internal dialectical settling concerning some of the truths inherent in human reality, he merely guides his actions with his understanding. The problem does not really begin to take place until he attempts to make his life findings known. Stalker’s conversation with Writer finds the latter man at a crossroad in his life. Writer comes on the trip in an attempt to reconcile himself with a vital existence – one that he has lost due to his cynicism. Yet his attempt is sabotaged by the precise thing that he is trying to run away from: himself. He makes no progress as a consequence. Once he returns to the simplicity of his room, his wife, and his handicapped young daughter, he puts into perspective the clash of his world with that of the seemingly more worldly and sophisticated intellectuals. What keeps Stalker anchored to reality is his web of core beliefs. At the end of the film, we come to realize that the room at the centre of the ZONE confronts all who go there with a moment of truth when they must make sense of reality based on their beliefs and convictions. This confrontation has to do with the limits of the knowable, and what this means in our own existence, and not necessarily with knowledge itself. Perhaps even more important is a reflection on the transformative and cathartic power of what we do know. The latter has to do with what Ortega means when he describes man as a conscious cosmic phenomenon. These points are evidenced throughout Tarkovsky’s films, but they are made explicitly clear in his notion of æsthetics in Sculpting in Time. Of course, the films are enjoyed on their own merits. Whatever impression his films make on us will be sanctioned by his ability as a film director. It would be simplistic to assume that the book does not entice us into a greater understanding of the man’s vision and his chosen vehicle to accomplish this. Tarkovsky’s cinematic vision transcends his films. His vision is made manifest in the degree of clarity of his spiritual embracing of reality. In other words, Tarkovsky’s sense of reality is brilliantly transformed into a visual collage, while his overarching æsthetic sense is mediated through his book, Sculpting in Time. José Ortega y Gasset, The Dehumanization of Art (Princeton: Princeton University Press, 1972), p. 25. Andrei Tarkovsky, translated by Kitty Hunter-Blair, Sculpting in Time (Austin: University of Texas, 1986), p. 199. Andrei Tarkovsky, Solaris (New York: Fox Lorber Home Video, 1991). Sculpting in Time, pp. 228-9. Stanislaw Ignacy Witkiewicz, Insatiability. Witkiewicz’s novel is perhaps the greatest example of the brave new world that man seeks, like small children whose sole responsibility is to play in make-believe worlds. His narrator says: “That they were living, thinking, sentient creatures seems indisputable, whereas the existence of inorganic matter, of the sort physics would like to posit on the basis of data derived from its own mundane vision of the world, would seem highly problematic, unless one assumes the existence of a mundane dualism, a mundane ‘pre-conceived order,’ and that people have altogether ceased to think in a mundane way – so there! The ‘collapsing’ of time was unendurable. Life teetered on an arête like a seesaw. On one side were sunny valleys of normality and great numbers of cosy little retreats; on the other loomed the murky gorges and chasm of madness, smoking with thick gases and glowing with molten lava – valle inferno, kingdom of eternal remorse and unbearable guilt.” (p. 400). In Sculpting in Time, Tarkovsky develops a spiritual æsthetics that cannot be separated from man’s vital responsibility for his own existence. He writes, “I am convinced that any attempt to restore harmony in the world can only rest on the renewal of personal responsibility.” (p. 235). 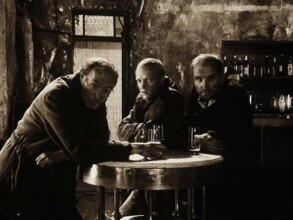 Andrei Tarkovsky, Stalker (New York: Fox Lorber Home Video, 1993). Allusions to this dualism are in evidence throughout Sculpting in Time. Dr Pedro Blas Gonzalez is a writer and philosopher who holds a PhD in Philosophy. He has written five books: Human Existence as Radical Reality: Ortega y Gasset’s Philosophy of Subjectivity; Fragments: Essays in Subjectivity, Individuality and Autonomy; Ortega’s The Revolt of the Masses and the Triumph of the New Man; Unamuno: A Lyrical Essay and Dreaming in the Cathedral.